I always wonder if I should make this website all about me and just kind of disguised as a gossip site, or all about celebrities with no mention of my life, or some kind of balance? Anyway, I apologize for my absence. A lot of bad things are happening to the people I love and I find it very hard to focus on being funny or commenting on the lives of those who can afford good health care and endless plane tickets to Ibiza. 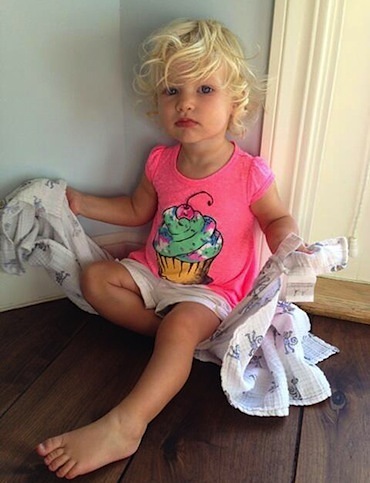 What does this have to do with a photo of Jessica Simpson’s 15-month-old daughter Maxwell? Nothing. Just that she will never have to hear the word “no” because she’s adorable and wealthy with a Nordic, Hitler-approved face. Shiloh and Suri beware, you’ve got competition.